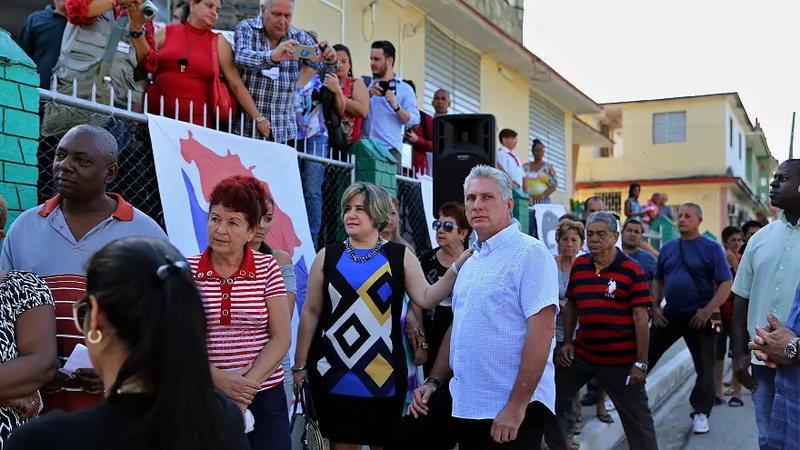 Miguel Díaz Canel's political career took off in the nineties, when he governed Villa Clara, his native region. "He rode a bicycle, he talked openly," says Silverio, director of the El Mejunje cultural center, who remembers how Díaz Canel defended the venue when it hosted homosexual artists, rockers and hippies. "He was a leader with long hair, a community leader. He made surprise visits to the center to see how it was doing." Locals remember him being close to the community in what was a period of great scarcity. "He'd come to this park", says José Luis, an engineer. "Even though he was first secretary of the Party, he'd enjoy spending time with the people." But Santa Clara is divided on future prospects. "We're effectively subdued by a regime that never ends," says resident Manuel Molina. Miguel Díaz Canel won’t have an easy rule, says Hector Estepa, Euronew's correspondent in Cuba. Cuban economic problems will be mixed with the menace of new sanctions by the government of the United States lead by Donald Trump. Cubans are divided between those who clamour for change and those who believe in the continuity of the Castrism. And Raúl Castro will continue presiding the Communist Party for at least two more years.